Do you suffer from intestinal problems? 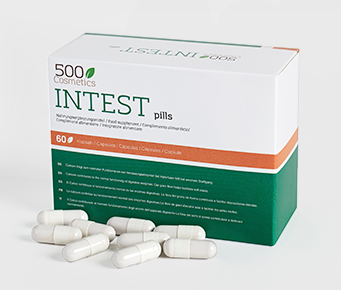 500Cosmetics Intest Pills is the best solution to relieve pain, inflammation and irritation of the perianal area, in addition to contributing to the functioning of digestive enzymes. 500Cosmetics Intest Pills are anti-constipation capsules made from natural ingredients with draining and beneficial properties that help the normal functioning of digestive enzymes and facilitate soft stools, being an ideal complement to reduce and prevent hemorrhoids, calming irritation and reducing inflammation. Eliminates pain, inflammation and irritation caused by hemorrhoids. Heals and regenerates the skin. It is recommended to use Hemapro Pills, to prevent hemorrhoids, along with our hemorrhoid cream,Hemapro Cream. 500Cosmetics Intest Pills includes a formula composed of natural elements that improve the digestive system and flora, helping to eliminate painful hemorrhoids. This treatment in capsules reduces the swelling and calms the irritation preventing the appearance of hemorrhoids. It also improves the digestive system avoiding constipation because it has key ingredients such as calcium that provides normal functioning of digestive enzymes and grain fiber facilitating soft stools. Take two capsules a day to improve the digestive system and prevent hemorrhoids. Dosage: 2 capsules should be taken daily. 500Cosmetics Intest Pills works as a food supplement, it is not recommended to ingest it in quantities greater than the recommended dose as it may be counterproductive. When to take: It is advisable to take 500Cosmetics Intest Pills after meal, one capsule in the morning and another at night. Is it safe to use 500Cosmetics Intest Pills for hemorrhoids? Yes. It is completely safe since it is composed of natural elements that provide relaxation and better intestinal health. In addition, this product is registered by the European Union. Do you need a prescription to buy the 500Cosmetics Intest Pills? No. The medical authorization is not necessary to acquire, since it is a totally natural food supplement, not a medicine. In which cases is not advised to use this remedy for hemorrhoids? It is not advisable to ingest these capsules for pregnant or lactating women or those who have problems with tension, liver, glaucoma, diabetes or allergy to any of the components of 500Cosmetics Intest Pills. In the case of taking antidepressants or other medications for similar health problems, it is also not recommended to take it. No. Being natural products, there is no known side effect unless you are allergic to any element of its composition. Can it be combined with other methods for the treatment of hemorrhoids? 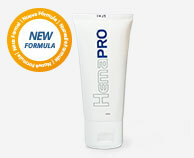 You can combine it with Hemapro Cream to get faster and better results. 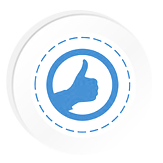 In addition, by purchasing a product, get more units as a free gift with purchase.